THANKS FOR SHARING NAMM WITH US! 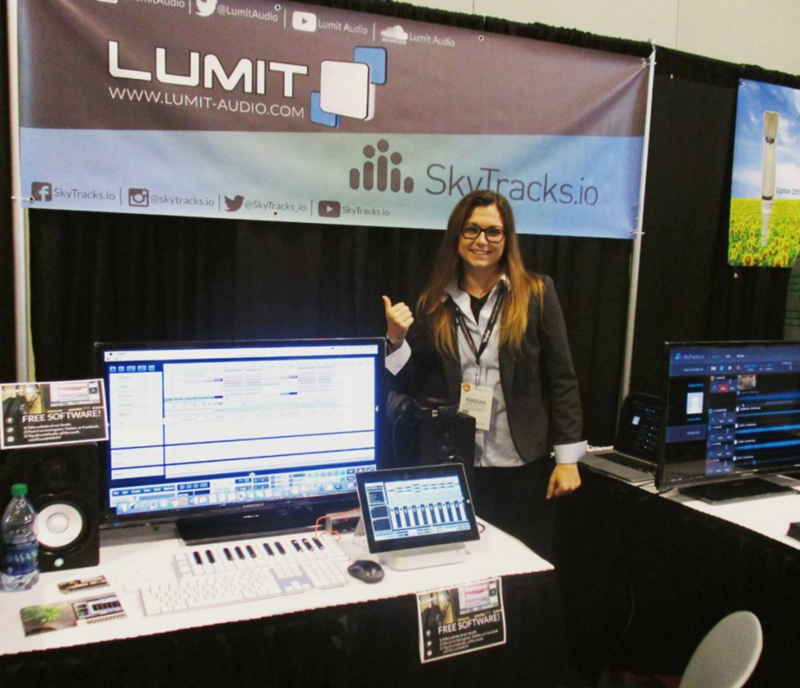 Last weekend Lumit got the incredible opportunity to show our DAW at Summer NAMM, the National Association of Music Merchants trade show. We met so many inspiring companies with exciting new ideas, and some friendly faces we’ll be looking for next year. If you got our cards, please stay in touch! The beautiful Music City Center in Nashville that hosted this NAMM. Wake and Tyler gave demos non-stop all three days for everyone from new starters to producers who have been in the industry for upwards of forty years, all enthusiastic musicians we hope to hear more from soon. If you make something in Lumit you’re proud of, please let us hear it! You can email us at support@lumit-audio.com. 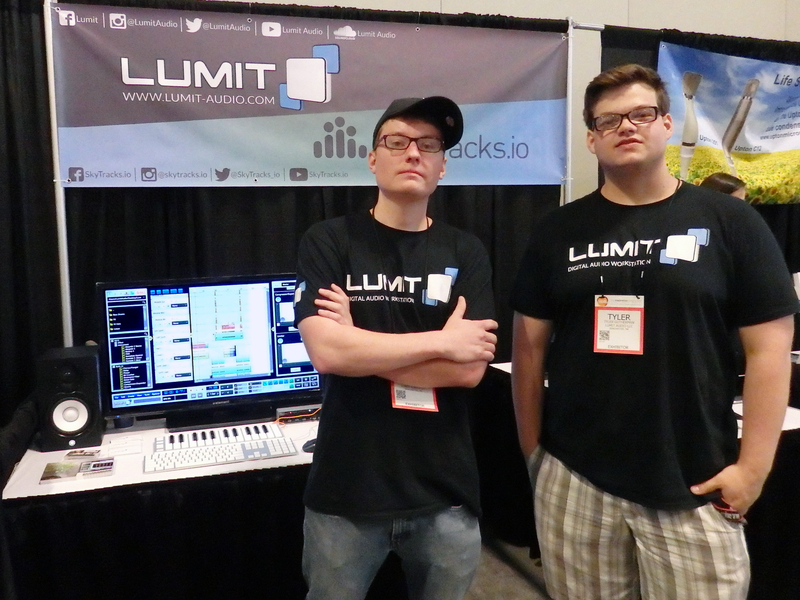 Wake and Tyler at the booth we shared with SkyTracks.io. 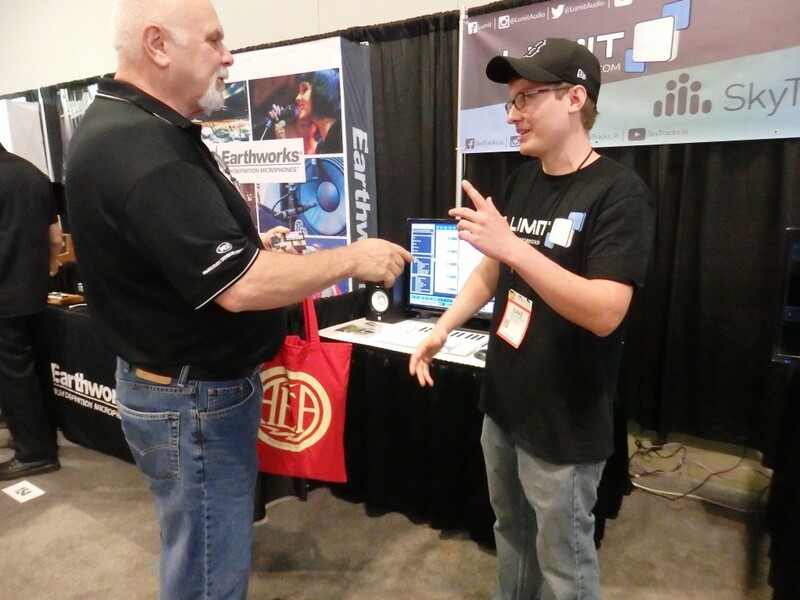 Marc from SkyTracks hung out with us for the whole show, demoing SkyTracks’ sleek and efficient virtual collaboration platform. 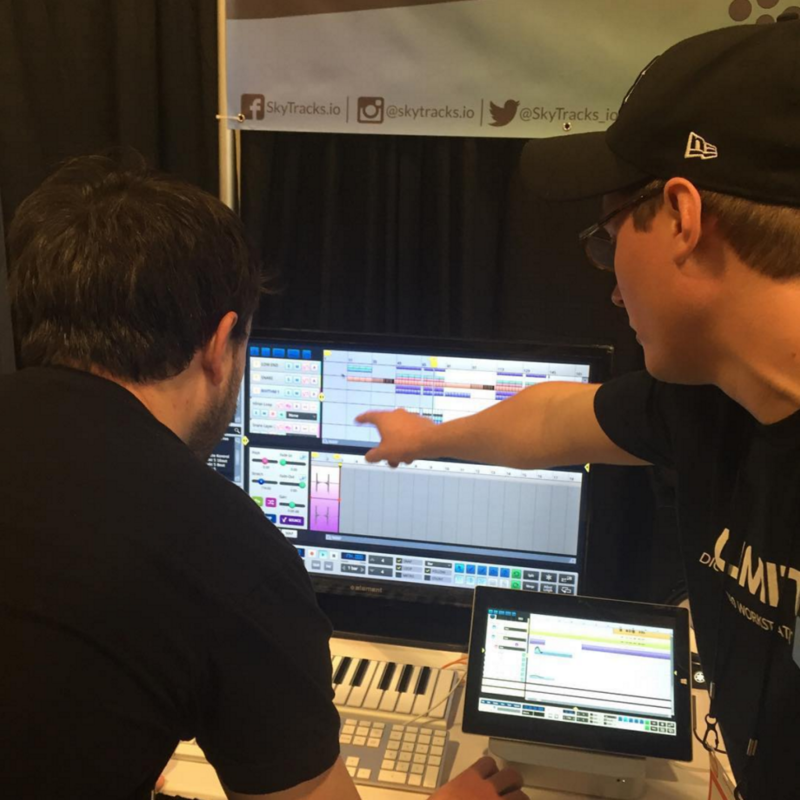 People who sat with us for a demo saw us finding beat transients, stretching audio, writing MIDI, and much more. We worked on a Mac desktop and a Microsoft Surface Pro tablet, and showed you some past projects like Tyler’s “Tracking Transportation” to demonstrate the mobility of the DAW. When people stopped by, we asked them to participate in our photo promo on social media to get a free copy of the software. Photo by hannahrkaufmann on Instagram. Photo by czyk123 on Instagram. Not all the action happened at our booth! We had a blast seeing Charlie Daniels play on the terrace and even got close enough to shake his hand (unfortuntaely fiddle-shredding abilities are non-transferrable). We joined in on a drum circle and got demos of other companies’ products like the multi-fucnctional stompbox by MOD Devices and the interchangeable faceplate MIDI controllers at Sensel. We also stopped by a party at Sputnik Sound, a beautiful and homey studio with lots of rustic character, and another event nearby at Vintage King, an excellent contributor of musicians’ sensory overload. 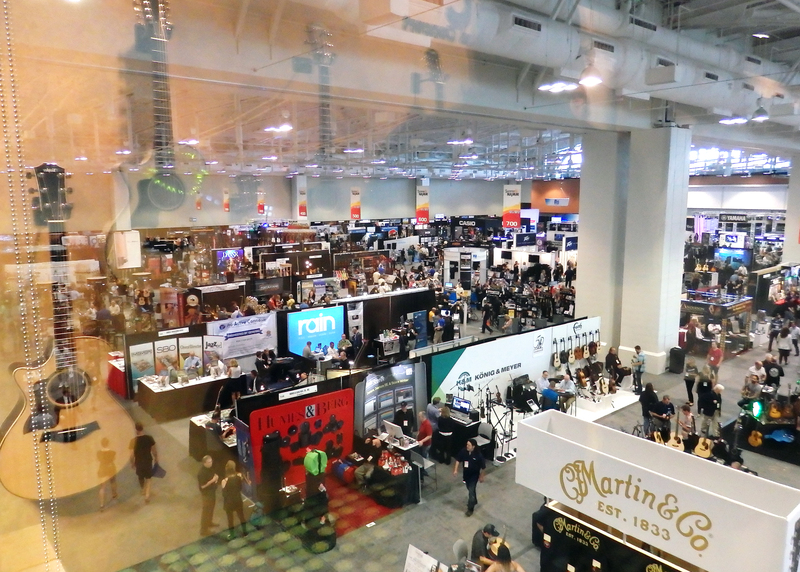 Thank you, everyone at NAMM for sharing your talent and enthusiasm with us in Nashville. We loved meeting all of you, and if you ever want to connect, we’ll be here! 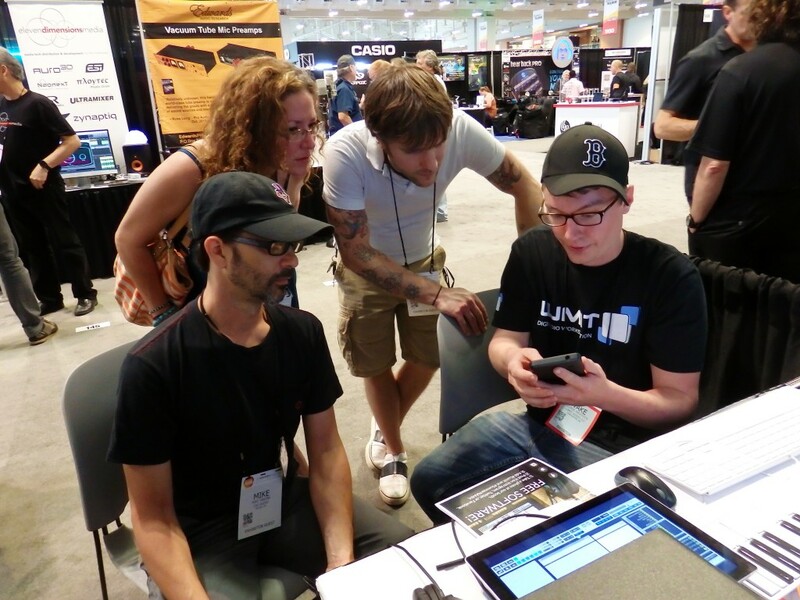 If you didn’t make NAMM this year, we hope to see you next year, or maybe a little closer to home in Boston, MA.